Did The Metro Manila Film Festival Plagiarize The Iconic Logo Of A More Prestigious Film Festival? It was Pablo Picasso who once said, "Good artists copy, great artists steal." It looks like someone within the ranks of the Metro Manila Film Festival or someone hired by the organizers of the festival has taken this advice too literally. 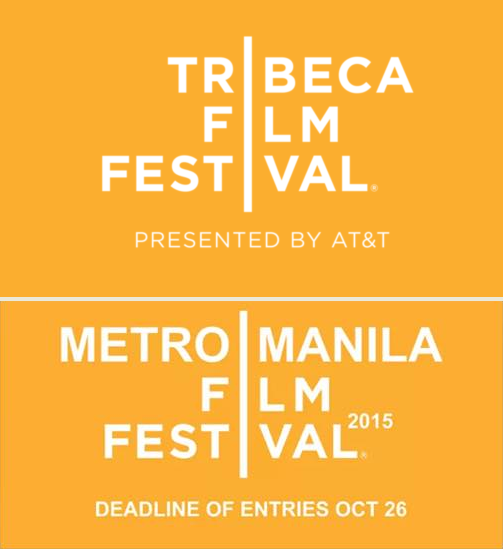 Jonell Estillore, co-founder of and writer for Film Police Reviews called out the MMFF recently for blatantly copying and using in its own website the design of the New York-based Tribeca Film Festival's iconic logo. Estillore took a screenshot of the design used by the MMFF and posted it on Facebook. Even a blind mouse can see the glaring similarities. The same white font color. The same orange background. And as Estillore pointed out, MMFF even copied the Registered symbol. It's mind-boggling to think that whoever was behind this ill act thought that he or she could get away with it. Everything about this is just plain laziness and a lack of understanding of the fact that artists can't just copy somebody else's work and present it as their own. Not surprisingly, the being-revamped MMFF website is now under maintenance. There's nothing there but a message that says the "website will be available soon". Those behind it have realized their stupid mistake and are in the process of cleaning up their mess. To be fair to the MMFF, it's possible that this plagiarism thing isn't entirely their fault. Maybe they hired a private design company to build their website and design the stuff that will be featured there. And quite possibly, a designer from this company decided to just type "film festival logo" on Google and copy one of the results that popped out. Anyway, you can't be called a designer if your designs are copies of other people's designs. You are but a humanized Xerox machine. Estillore, who blew the whistle on the thing, said he has sent a message to the Tribeca Film Festival. That's a good thing. Also, after reading through the thread for Estillore's post, someone from MMFF apparently contacted him to try and explain the issue. They're non-explanations though. They just showed how truly clueless they are.